Been meditating on this drawing by Brazilian artist Adalgisa Campos. Her work is so fine and clear, and I love that it's not about any kind of minimalism, but uses its own austerity to mask an obsession with innumerable calculations. 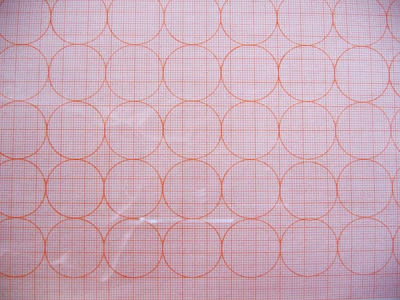 Her practice is an obsessive record of a multitude of measurements, like the floor plans of every room she's ever been in, or how many ways there are to document the layout of a piece of graph paper. I can't find much on her online, except on this post on Sydney's blog, about half way down the page. It snowed yesterday, and I've had quite enough. Maybe we should meet somewhere closer to the equator? hey, sarah, it's you, isn't it? i have been looking at your blog (the other one) from time to time, and like it a lot. I am so happy to find you through this blog - what a nice surprise. I just noticed your post today. Send me an email if you can (sarahbaroness@gmail.com). Sydney said you had a baby last year - I have a two year old and we are expecting a second in the fall.